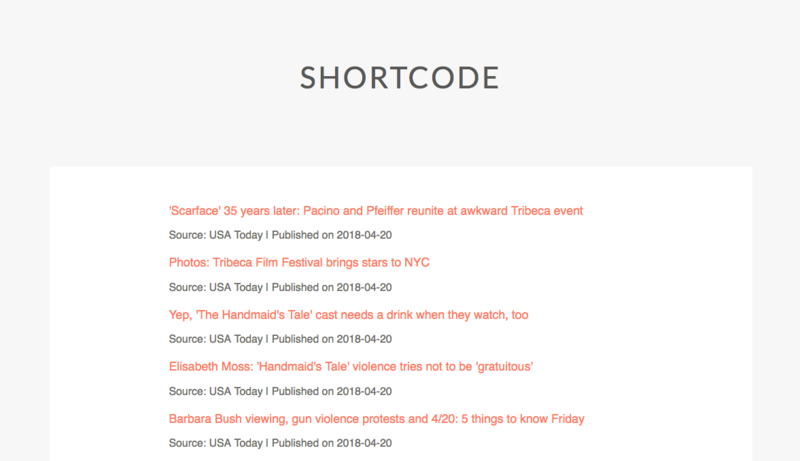 Remove or modify the bullet points from each feed item in the shortcode display to achieve the look you want. Besides removing the bullet points, you can also modify them. There are plenty of different bullet styles and you may even opt to use an image of your own as each bullet point. Learn more about CSS lists here. 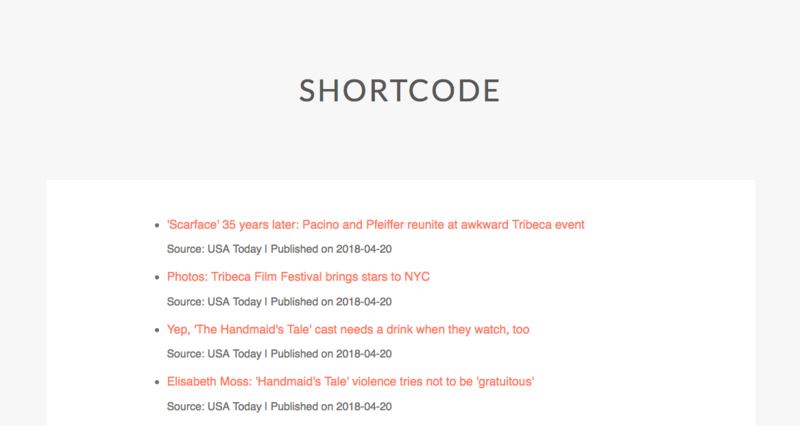 Once the above CSS is added to your WordPress site, the shortcode display will change as seen below.